The Peconic Baykeeper Inc. filed a lawsuit against Suffolk County in early December over the county’s adoption of its Comprehensive Master Plan this summer without undergoing an extensive environmental review. The Article 78 proceeding, brought in State Supreme Court Dec. 9, alleges the county circumvented the State Environmental Quality Review Act by in June deeming the plan a Type II Action under SEQRA, paving the way for it to be approved without the preparation of an Environmental Impact Statement. It asks that the county’s adoption of the plan be annulled. The drafting of the “Suffolk County Comprehensive Master Plan 2035” took place over several administrations, but it was pushed along in the final phase by the Suffolk County Planning Commission, chaired by David Calone, who is currently seeking the Democratic nomination to run for Lee Zeldin’s seat in the U.S. House of Representatives. In the wake of Superstorm Sandy, the county began working on a plan designed to build back after the storm, focusing on six areas of concern: economic development, energy, environmental protection, housing diversity, transportation and public safety. The plan includes a project called “Connect Long Island,” a call to build transit-friendly development hubs in neighborhoods surrounding Long Island Rail Road stations, which would be tied into expanded bus and alternative transportation networks. It also calls on the county to establish goals for watershed nitrogen reduction and to develop advanced on-site wastewater treatment options, along with financial incentives to replace and upgrade septic systems. It also calls on the county to upgrade or replace the Bergen Point outfall pipe in West Babylon on the Great South Bay. The full text of the plan is online here. According to the lawsuit, Brookhaven Town was the lead agency on the initial proposal with the on-site sewage treatment plan, which had undergone a full Final Generic Environmental Impact Statement over the course of eight years. The suit also alleges that the county improperly designated both the Ronkonkoma pressure line and an expansion of the Bergen Point plant “unlisted actions” under SEQRA, paving the way for both projects to not undergo extensive environmental review. County Executive Spokeswoman Vanessa Baird-Streeter said Dec. 17 that the county does not comment on pending litigation, but the minutes of county meetings show the process involved with the June 17 deliberations of the county’s Council on Environmental Quality, which made the decision to deem the plan a Type II action. The Baykeeper lawsuit alleges that the master plan does, in fact, commit the county to a definite course of future decisions on these issues. 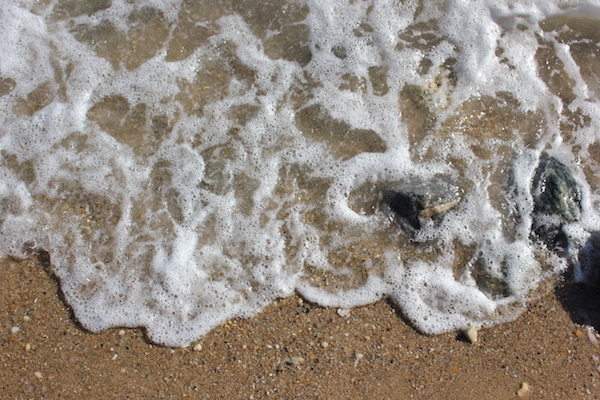 Peconic Baykeeper, Inc. legal spokesman Joel Barkin, of the law firm The Roffe Group, said the county’s decision to allow the “future specific projects” to be reviewed individually amounted to “segmentation,” which is not allowed under SEQRA law. The Peconic Baykeeper has been working without a public spokesman since Baykeeper Brady Wilkins resigned in April. Mr. Wilkins had been appointed in October of 2014 to fill the shoes of longtime Peconic Baykeeper Kevin McAllister, who was fired under mysterious circumstances in March 2014. Mr. McAllister has since formed a new organization, Defend H2O, which focuses on East End water quality and coastal issues. Mr. Gulizio is a former planning director for the towns of Islip and Brookhaven, who revamped Brookhaven’s planning code during his time in office there. He is also an attorney. The parties to the lawsuit are due back in court Jan. 15.